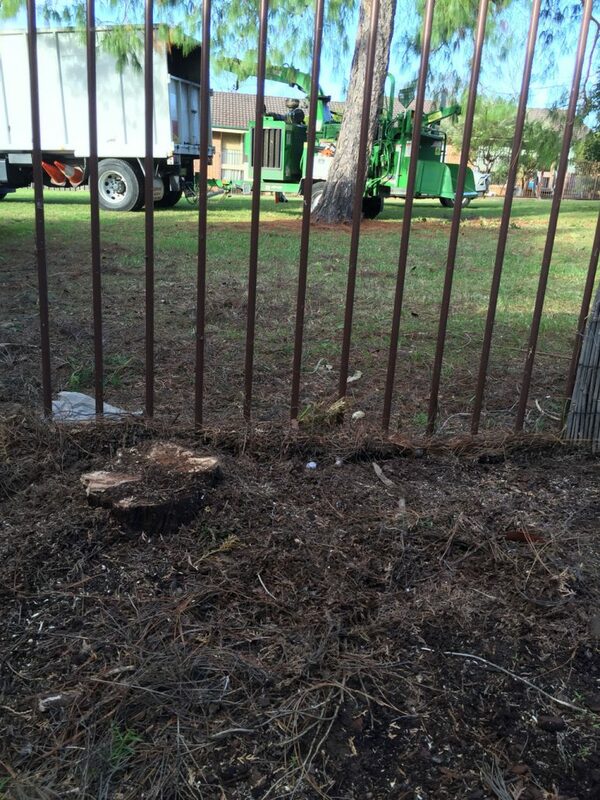 At Caringbah in the south of Sydney, a pine tree which grew alongside the boundary had become a danger to passers by. Wood rot had taken the stability out of the trunk and the tree had turned a nasty brown. We had no problem removing the tree, despite its proximity to the fence, and the property owner was especially delighted with how quickly the job was completed, and how tidy her yard now looked.